There are many parts to being a father which can be hard to fully grasp at first. One good example is the way in which you always need to provide a nurturing and safe environment for your children. This is something that can be surprisingly hard to achieve, in part because there are always a surprising amount of factors involved in it. If you want to provide the most nourishing environment possible for your kids, you’ll need to approach it from all angles. In this post, we are going to look into this in a little more detail, hopefully including a few things which you have so far overlooked. One of the very first considerations you will need to concern yourself with will be babyproofing the home. This is a vital part of being a new father, and it’s likely that you will have to spend a lot of time on getting this just right. No matter how much time and energy you put into it, it’s perfectly possible that you will end up forgetting one or two things. Babyproofing is both demanding and essential for the safety of your children, but what does it really entail? Go around your home and try to spot anything that could cause harm to your child. It is likely that you will need to do this a few times if you are to really find every possible danger, so don’t worry if you miss anything on the first go round. You’ll want to keep an eye out in particular for easily reachable chemicals, unlocked windows, unprotected stairs, and slippery surfaces. Likewise, it will be necessary to keep an eye on sharp corners and other possible dangers of this nature. As long as you babyproof your home properly, you can expect to take much better care of your children from the outset. However, as we will see, there is much more still to consider besides the initial babyproofing session. For children of all ages, one of the most essential things you can do to keep them safe is simply to teach them about what is safe and what is unsafe. In this way, you can expect to much more successfully look after them, not least because they will understand better themselves what it means to try and remain as safe as possible at all times. By instilling in them the value of safety, you will find that you are doing much more for them in the long run. Of course, this is one of those ongoing things that you always need to think about as parents. But as long as you do, you will find that it really makes a huge difference to how safe your children are in the home. The earlier you start to teach them about safety of this kind, the better. Many households have pets as well as children. For the most part, this will not be too much of a problem. However, there might well be occasions when having a pet can pose something of a risk to your child. The truth is that there are a number of ways in which having pets can make the home a little less safe, and it’s not a bad idea to look into what you might need to consider to keep your children as safe and healthy as possible. However as your children grow, pets can be great companions for them and help in teaching kids responsibility, self-efficacy, empathy and other important life skills. You can begin by assigning your children simple tasks such as taking the dog for walks, cleaning up his toys, making sure the pup eats the right foods. This way your children will learn the art of caring for another being and will also develop greater compassion for animals but make sure you supervise all interactions and only assign chores that are age-appropriate. One aspect of having pets which parents commonly overlook is the fact that they can often spread illnesses or ticks and fleas. If you think your dog or cat might have a flea or tick problem, you should deal with it immediately to ensure that it does not end up affecting your child as well. Something along the lines of Pet-Lock dog fleas prevention should ensure that your child remains free of fleas and ticks, and it’s also a good idea to keep your dog clean at all times too. The other major thing to consider here is the fact that larger pets such as dogs can cause harm to your children physically, often by engaging with them in a boisterous manner without realising it. Properly training your dog to behave in the house is the best preventative measure here, but it is also a good idea to simply keep them apart if it comes to it. Be careful of your pets, and you can be sure of a much safer environment for your children too. Beyond the essentials of safety, there is also the matter of trying to encourage a nurturing environment in the home. For this to happen, you will need to make sure that you are focusing on playing with your child a little. The process of play is actually incredibly important for their development, as it is one of the major elements in which you help them to grow. 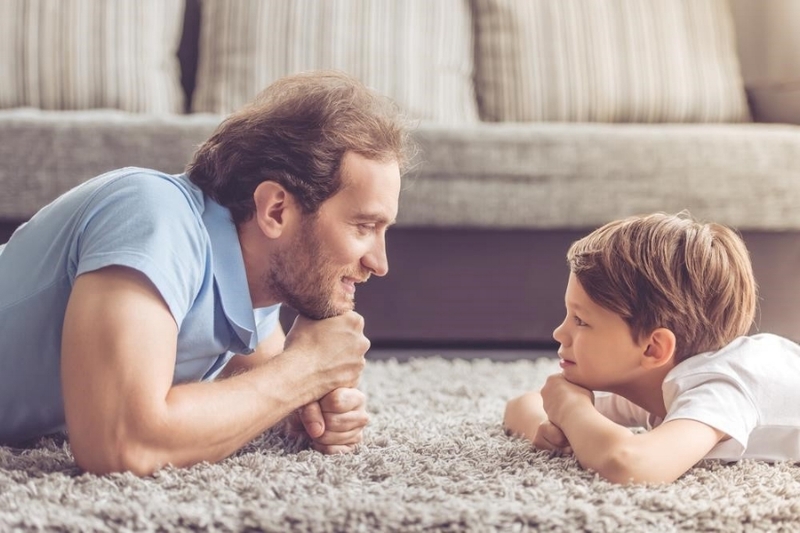 You need to make sure that you are encouraging a strong sense of play in your children, and to achieve this often requires a changing of how the home is structured. With a more consciously structured home, you are much more likely to be able to play with your children in a safe and wiling environment. This will ultimately be beneficial for the future of their health and wellbeing, and is essential for their development on the whole. Remember this when you are trying to make your home an ideal space for your children to grow up in. As long as you attend to all of the above, it is much more likely that your children will be able to enjoy the home as safely as possible. Providing a safe and nurturing environment is one of the most important things that you need to do as a parent, so it’s a good idea to spend some time making sure you get this just right. If you do, you will see the effects clearly and it will prove to be worthwhile. Don't Let Awful Weather Stop You And Your Kids From Having Fun!